I would like to customize a Menu module. I want to add a default CSS class to a Joomla 'my_template' to render all link menu items with a default class (<a class="link_menu"...). I know that it is accomplished via menu item edit advanced tab options to adding a css class to a particular menu item. But i would like to add this class automatically to all the items of this menu module. I would add module or menu class suffox to the menu module itself. 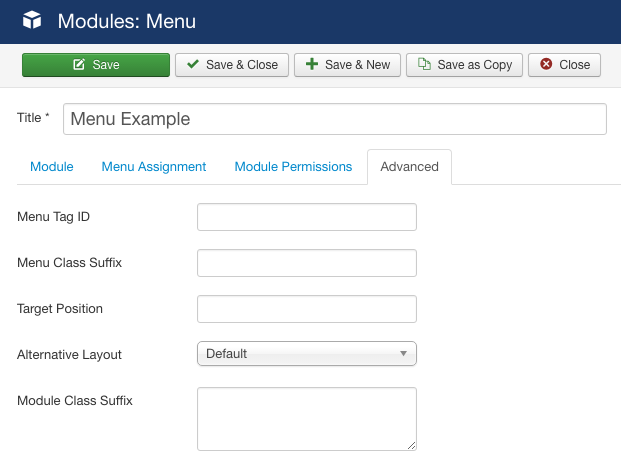 Then you can write the css specifically for that menu module type, applying the rules to every menu item in it. Not the answer you're looking for? 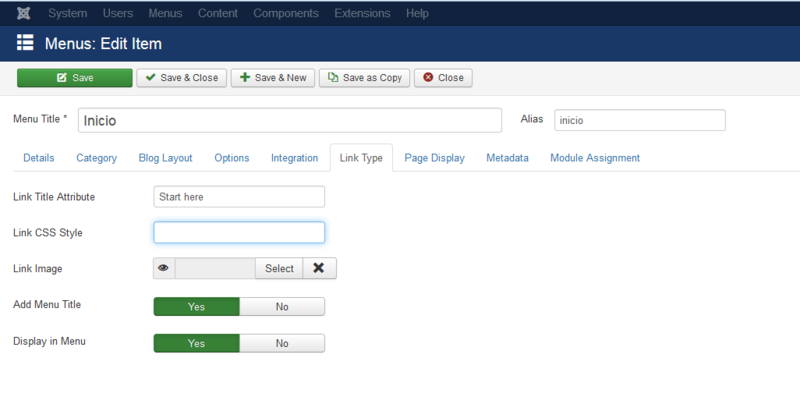 Browse other questions tagged css template-override joomla-3.5 custom-module or ask your own question.